Retailers today are in a poor position to compete against a vertically integrated and fully digitized online giants like Amazon. They need to integrate and digitize their supply network, and optimize their multi-party processes, from demand forecasting all the way to store deliveries. Structurally, that is just not possible with batch enterprise-centric processes and systems, and connecting them point-to-point, many times over. 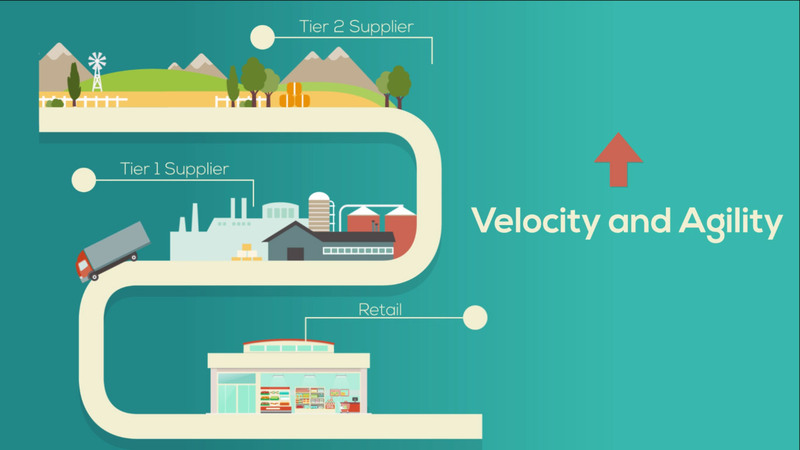 A consumer-driven supply network connects retailers to their entire supply network, it increases their on-shelf availability, helps their suppliers improve their service levels and inbound logistics, reduces their landed costs to the shelf, and it cuts inventory throughout the supply chain. The digital supply chain is causing disruption. Early adopters are making impressive gains, while cautious companies are falling further behind. One Network can help you digitize your supply chain, fast – thanks to its disruptive technology, and economically – thanks to its disruptive business model. Learn how: Download What Makes ONE Different? Next Post:What Are Grocers Doing to Attract Shoppers?